God is our Redeemer. All of man’s inventions come back to what God teaches us in His creation. He creates things because of who He is — the Redeemer. And everything that He touches, He redeems. When God creates things, there’s that DNA of redemption because He is the Redeemer and His fingerprints are on everything. Everything God touches, He tries to redeem, even when it comes to us — you and me. My life, going its own way, would have become rancid, lost and filled with lethal bacteria, but God, because of His love, grabbed me. He redeemed me and converted me from what would have been bad and lost into something that has become something more eternal. He has changed my life. Now, our lives have become an expression of His miracles and grace. We see that through the testimonies of lies that were on a crash course to nowhere, against all odds, God redeems them and changes the direction of their lives. “… and they will call them, ‘The holy people, the redeemed of the Lord …’” (Is. 62:12). “But Christ has rescued us from the curse pronounced by the law. When he was hung on the cross, he took upon himself the curse for our wrongdoing” (Gal. 3:13). Christ took our faults and, because of His heart, we were redeemed. He took our faults, our mistakes, our blunders and He redeemed us and we became people of eternal quality. This means His very DNA was transferred to you to be made in His image, the image of a Redeemer. He entrusts that to you. He entrusts His image to you and He entrusts that ability to us to take what He gives to us and, when it touches our lives, it’s redeemed. The image of a redeemer, the redeemer in you and me, will in no greater way be seen than when you are presented with problems. What are you going to do with them? We may be redeemed, but we’re not necessarily perfect. In the church, there are going to be problems, but because of His redeeming kind of heart, God is looking for those who will steward more than just His blessings. Where the Redeemer’s image is really seen the most will not be in stewarding God’s blessings, but in stewarding God’s problems. God has problems that He wants people to redeem because that’s His image that He has given to you. When God shows us a problem, we can do one of three things with it. When I see a problem in my family or a person’s family, I can do one of three things. First, I can gossip about it and gossip spreads like gangrene. Secondly, I could use it as ammunition. We hear something about somebody and we build this ammunition stack of torpedoes. Third, we can steward those problems well. When God shows you the problem with a wife or a husband or a child or a friend or a leader, what are you going to do with it? 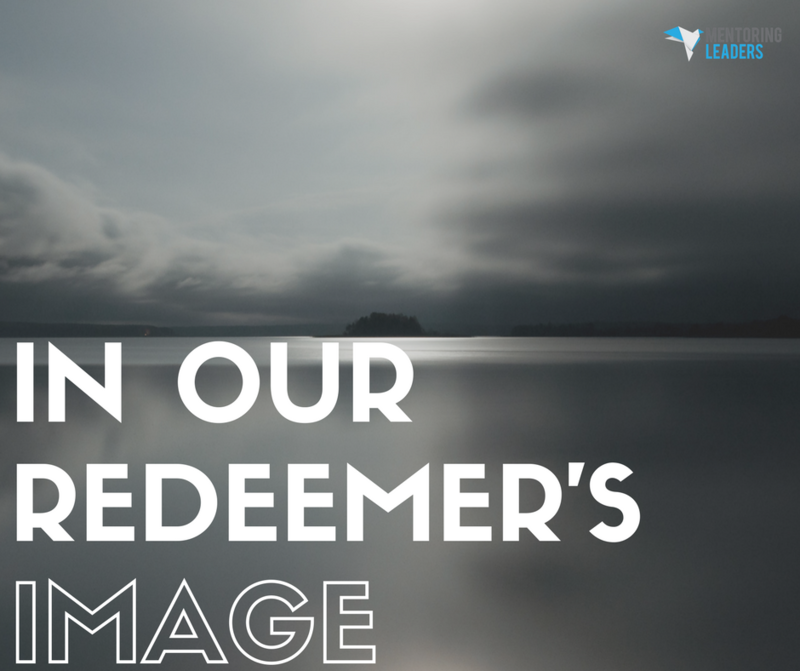 Are you going to be in the Redeemer’s image and redeem it? Pray through it? Ask God for wisdom? Or will I use it to destroy, to gossip and as ammunition? The choice is ours. My prayer is that each of us will make a conscious decision at New Hope to be redeemers and take after our Redeemer. We have been given the invitation to steward His problems and situations that would otherwise have been lost or even lethal. We can steward well with God’s help because we have been created in His image. God’s fingerprints are in our lives to redeem things. When you say, “Lord, that’s the tilt of my heart,” watch His image start to be seen in you and His power, His insight and His wisdom begin to flow through you because He’s found a vessel that’s willing to steward His image, the image in which we were created.